When I go on vacation, I like to snap a lot of pictures to capture the memories. However, sometimes the camera on my iPhone just doesn't cut it. If I want to take a picture of the Eiffel Tower, frame it, and hang it in my house, I definitely won't use a smartphone camera. An alternative for this problem is the Panasonic Lumix DMC-ZS35 digital camera. 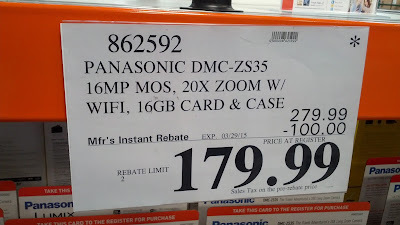 It's 16 megapixels make pictures clear and crisp and it's zoom allows me to take good pictures from far distances. But it's greatest advantage is the size. I don't have to carry around a big SLR camera through the streets of Paris to take high quality photos when I can just carry a compact-size camera to take good photos of my trip to France. The DMC-ZS35 is high quality camera that takes really good pictures and its size is perfect for travel. 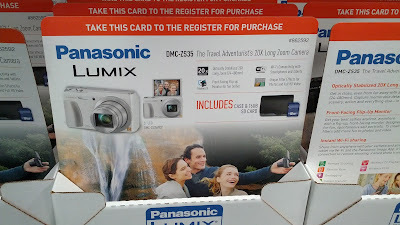 The Panasonic Lumix DMC-ZS35 digital cameracan take high quality photos that is portable and great for travel. 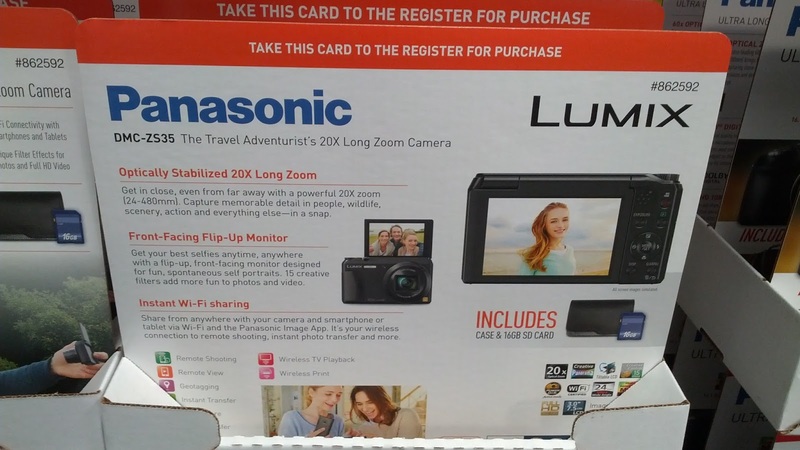 The Panasonic Lumix DMC-ZS35 has incredible zoom for such a small and compact camera. Take advantage of the deal and instant rebate ($100 off) at Costco for the Panasonic Lumix DMC-ZS35 digital camera. Get in close, even from far away with a powerful 20x zoom (24-480mm). Capture memorable detail in people, wildlife, action, scenary and everything else - in a snap. Get your best selfies anytime, anywhere with a flip-up, front-facing monitor designed for fun, spontaneous self portraits. 15 creative filters add more fun to photos and video. Share from anywhere with your camera and smartphone or tablet via Wi-Fi and the Panasonic Image App. It's your wireless connection to remote shooting, instant photo transfer, and more.